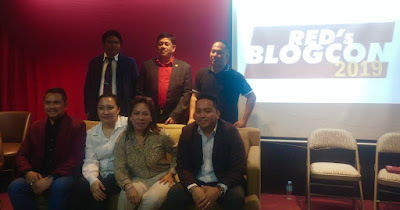 The first RED - Rising Era Dynasty - Blogcon was held last April 6, 2019 at the RED office in Burgundy Empire Tower in Ortigas Pasig City. The blogcon aims to educate the bloggers about the company's mission and vision and how it is committed to providing a sustainable environment not just in the country but in the whole world one product at a time. RED was established in 2018. 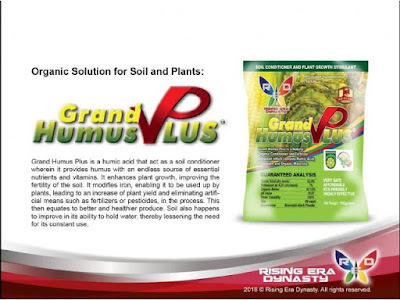 It distributes natural and organic high-quality nutritional products and advocates health and wellness through a holistic approach. By identifying the root cause of the problem, RED provide solutions through science-based proprietary products, utilizing state-of-the-art technological advancements in ensuring these products are of the highest quality and optimum potency. RED is an innovator of well-being, addressing every phase of the cycle, from soil to plants, from plants to animals, from plants and animals to people; by getting to the heart of today's crisis in human's health : offering organic agricultural products as the essential first step. As a fast-growing movement, RED actively campaigns to educate people globally about the importance of wellness and the impact of organic farming as means to Restore, Enhance and Defend the state of mother Earth and the future of mankind. In their support for todays' growing need of a nutritional revolution and in enabling this need to pave the way to Restore, Enhance and Defend a person's desire to abundance and prosperity, RED is a trailblazer. RED is totally dedicated in providing and delivering outstanding quality products and services that will improve lives. Their vision is to known as a top-of-ind brand for all innovative and superb quality products. They are totally committed to exceptional standards of performance and productivity and they are willing to embrace new ideas and learn continuously to create a long term value for the consumers, their people and their business partners. RED offers products that are organically grown, manufactured and developed in the highest proprietary process and standard and are highly-essential items as they partner only with the best scientists and doctors together with a high-quality performing company to achieve all these. GoEssentials which is comprised of RED GoGreen, RED GoZyme, and RED GoDefend is their top selling wellness products. 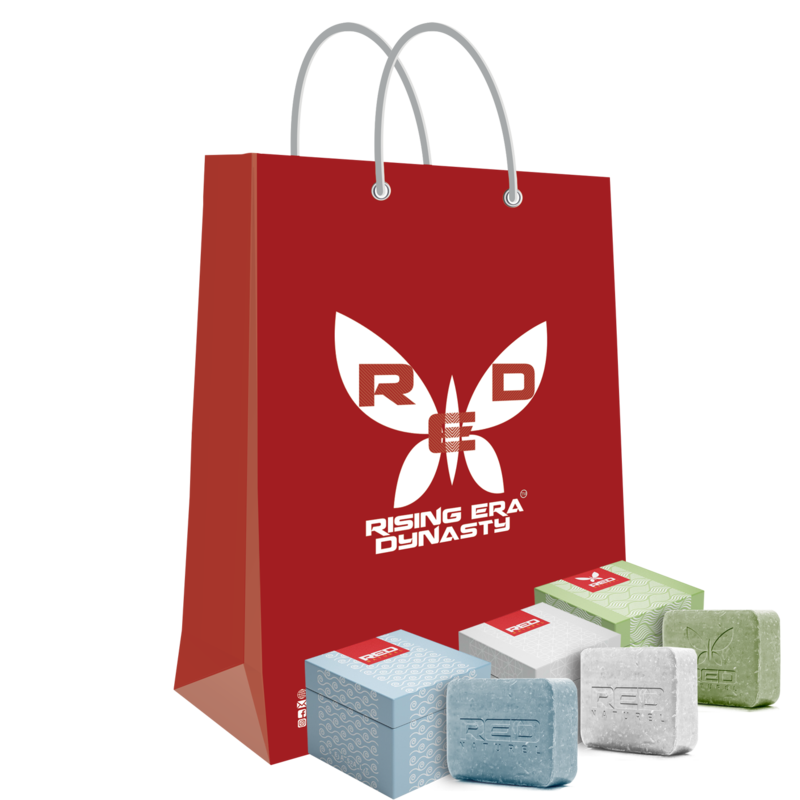 To serve the rising clamor for beauty products, RED now has natural organic soap bars: RED Natural Organic Whitening Soap, RED Organic Sea Salt Soap, and RED Organic Algae Soap. 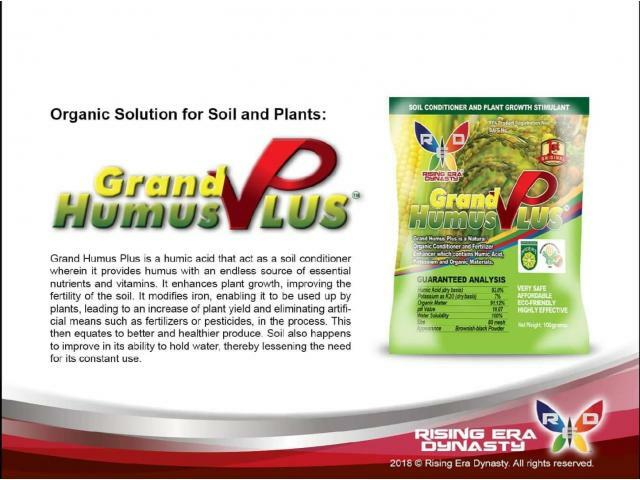 They also have the highly-preferred organic solution for soil and plants - Grand Humus PLus and Grand Humivet for livestock. RED also introduced their newest product made with KyzokxTechnology, the anti-mosquito lotion which is a very effective defense against Dengue, Zika Virus, Malaria and Chikungunya. To know more about the company and its brand, visit www.redinc.net.